On Sat 17 Jan, the Hunts District Young Ringers and the EDA Young Ringers had a joint meeting at Gamlingay, followed by a group lunch, then the chance to ring on the splendid ten at St Neots. The EDA Young Ringers, who are mostly from the Cambridge and Ely Districts, enjoyed ringing on the lovely bells at Gamlingay. Ten young ringers, spread fairly evenly between the three districts, rang everything from rounds to Cambridge Major. Downstairs, at the back of the church, we rang handbells and practised our methods on the computer using Abel. Thank you very much to John Boocock for making us so welcome. A special treat was the first outing for the portable mini-bell designed and made by Alan Winter. 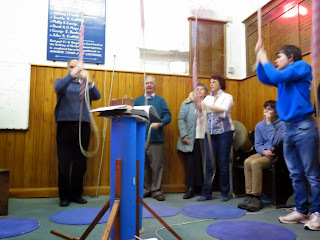 This was great fun to ring (see photo). 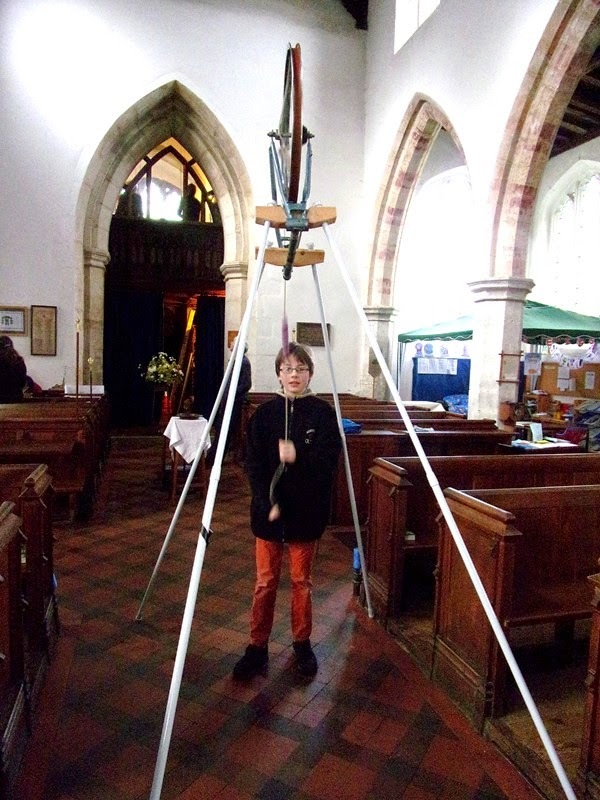 Afterwards, eleven young people and adults enjoyed an excellent lunch in Beale’s café and then joined in the ringing at St Neots, where two of our members had their first go at ringing on ten (see photo). 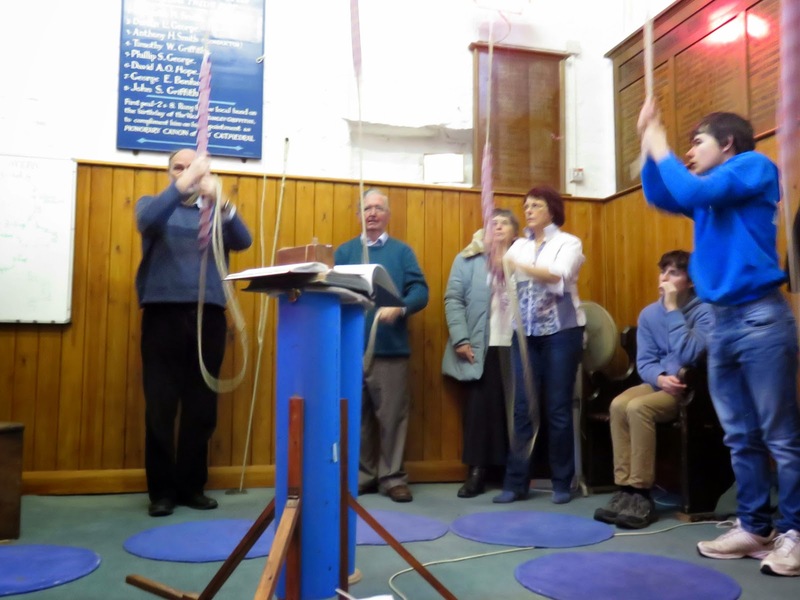 Thank you very much to ringing master Sheila George for making us so welcome. Jason, one of our young ringers, is fascinated by the technology of bells, so he was very pleased to be allowed to look in the belfry at St Neots. Here is a photo of some of our group inspecting the bells. 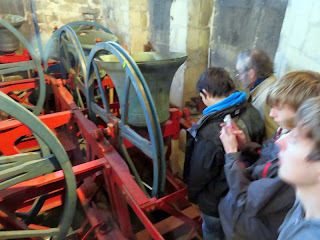 There is another photo of the bells on Jason’s web page, here.